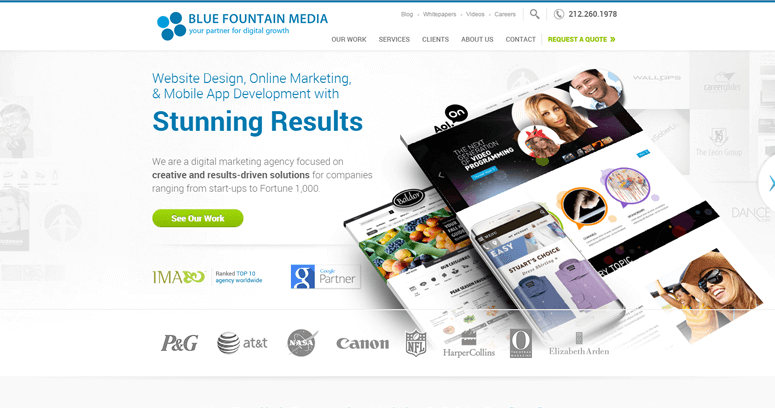 Blue Fountain Media bills themselves as a results-driver website design company that knows how to navigate today's complex design landscape so well that clients always reach their destination. This company performs many website design duties for clients, including the actual physical design, keyword strategies built into the design, and even mobile app development that helps websites to reach an entirely new market with their content and products. 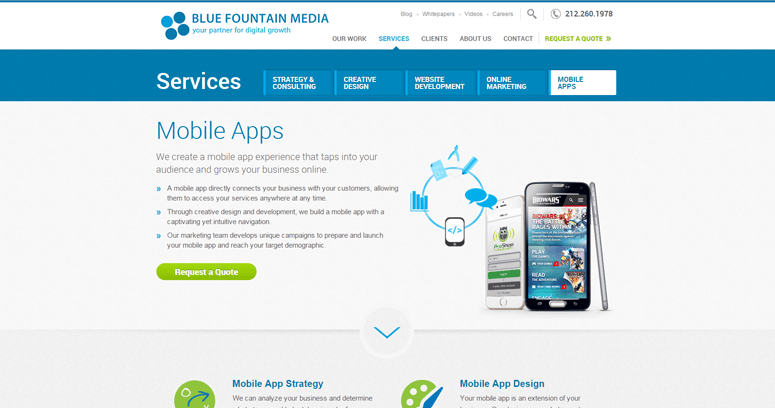 Blue Fountain Media is more than happy to share its happy success stories on their website. The results speak for themselves. Through a combination of sleek design, search engine optimization strategies, and PR techniques, they're able to secure every client a place in the industry they've chosen to enter. 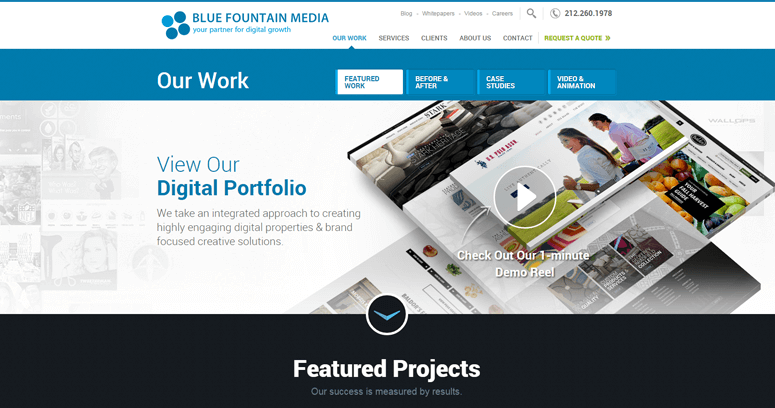 The crew at Blue Fountain works in close collaboration with clients in a partnership that they hope spells out success in every goal-area the client has for their online vision. They've helped over 1,000 start-up businesses thrive online.